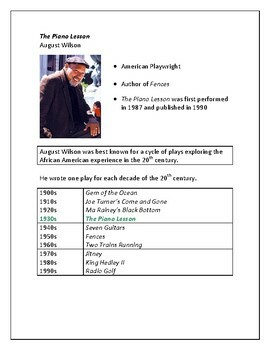 This resource is designed to facilitate classroom discussion on August Wilson's play, The Piano Lesson. 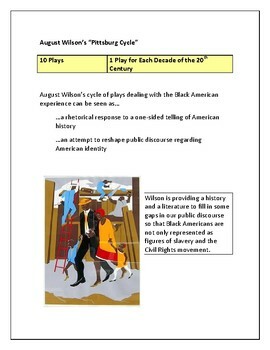 Some brief background information is included to offer a context for reading and understanding the play as part of Wilson's larger Century Cycle project (wherein he wrote one play for each decade of the 20th century). 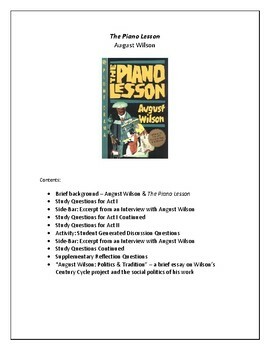 An essay is also included to examine and explain some ways to understand this project and what it means to American letters. The main thrust of this resource, however, is aimed at generating an clear understanding of the play's characters, conflicts and themes. 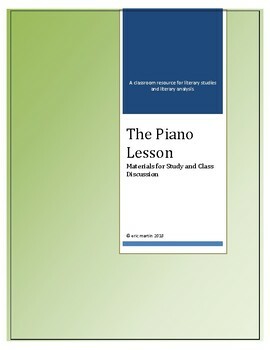 The materials are formatted for use on a classroom projector, but the whole resource can also be shared with students for use as a supplementary study guide.